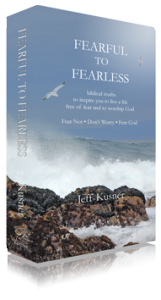 A preview of scripture that identifies those passages that demonstrate and direct us to not be afraid…to have faith and trust in God. Psalm 119:38-40 Criticism from man cannot compare to the judgment of the Lord, but it can harm our Christian witness and reputation. Pray God would use the contempt of men for the sake of His witness. Psalm 116:01-04 When it seems like you are at the end of your rope, do not allow fear to get the best of you, turn to God in faithful prayer. Let prayer be your first resort, not your last. Psalm 112:07 Do not be afraid or dwell on bad news rumors or gossip which only serves to frustrate, but have a heart grounded in faith with complete confidence and trust in God. Psalm 049:16-17 Do not be envious or fearful of those with worldly riches and power, for the wealth of this world does not pass on to the next. Psalm 049:05-06 When judgment comes, those who put their hope in the wealth of the world will be afraid, but those who trust in the Lord will be safe. Psalm 003:03-06 Regardless of criticism, intimidation and judgment from man, we commit to God and depend on His blessings. Our confidence in Him is built up through submission to Him. Job 11:13-15 Set your heart on God and reach out to Him with the full assurance of faith that we are washed with the blood of Christ. 2 Kings 06:15-17 Do not make things out to be worse than they are; turn to God so that our eyes are open to see things as they really are. God is larger than anything. 1 Samuel 12:20 Do not fear. You have committed all this evil, yet do not turn aside from following the LORD, but serve the LORD with all your heart. 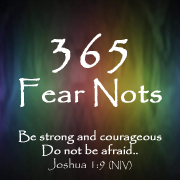 Deuteronomy 20:08 Fear can be contagious like a virus, but God can strengthen and protect us from its spread. Do not allow the fear of those who are afraid infect you.